We’re committed to keeping you updated on our destination, so have summarized a few industry announcements that came out over the past few months from our good friend Gay Nagle Myers and her team at Travel Weekly. In addition, I’ve highlighted two announcements from Seven Stars and Point Grace resorts below. 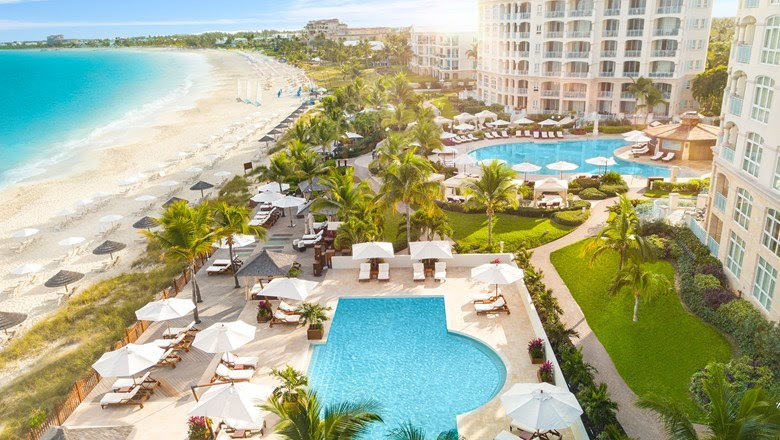 The Seven Stars Resort & Spa on Grace Bay Beach has completed a full redesign of the 167-suite property. The $12 million investment represents the property’s third capital improvement project since it opened in 2009. The latest plan included a redesign of all suites and the living room lobby, the addition of a second saltwater pool for adults and an expanded spa and boutique. More than 600 framed works by artist Andrew Humke, who worked in residence at Seven Stars for six months, adorn the walls of the lobby and the guest suites. Culinary enhancements will be rolled out later this year, including a private dining room to accommodate chef’s table experiences for small groups. Also planned are two organic gardens, including one above the signature Seven restaurant that will double as an open-air rooftop garden and private dining space. Already in place is an interactive mixology class offered at The Bar at Seven. Grace Bay Resorts, which acquired the 35-suite Point Grace resort in the Turks and Caicos last April, unveiled design plans for the boutique beachfront property on Grace Bay. New York-based Young Huh Interior Design has been tasked with refurbishing the poolside cottages, oceanfront suites, the lobby and other public spaces. Already completed is the redesign of Grace’s Cottage, the resort’s French-themed restaurant. 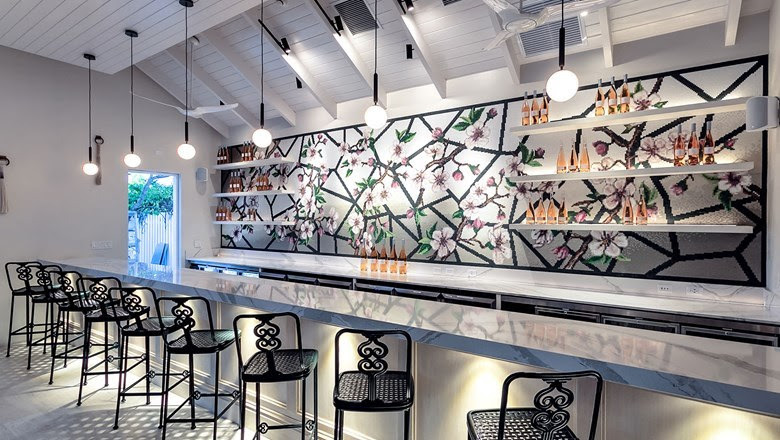 Enhancements include a new bar and lounge, expanded terraced seating areas and new landscaping, all framed by a 25-foot-long glass-tile mosaic wall. Point Grace was designed in the late 1990s by SWA Architects, based in the Turks and Caicos. That firm plans additional improvements at the resort in the next months, including a new breakfast area and fitness center. In addition to Point Grace, Grace Bay Resorts’ portfolio comprises the Grace Bay Club, West Bay Club, the Private Villa Collection and the soon-to-open Rock House Resort on the north coast of Providenciales.